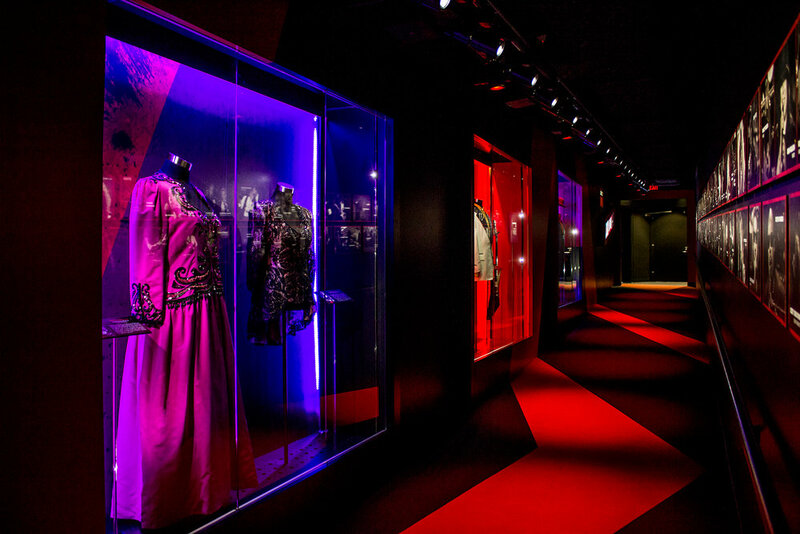 After over a year of design development The Power of Rock Experience opened to the public at the Rock and Roll Hall of Fame this past July. Manny Treeson was invited to design the lighting for the whole experience, created, designed, and produced by BRC Imagination Arts. We were thrilled to be on the team for such an exciting project. From the beginning of the process, BRC's Creative Director Christian Lachel desired to take the guests on a journey immersing them in the music. Christian knew everyone has memories and emotions triggered by one song or another. 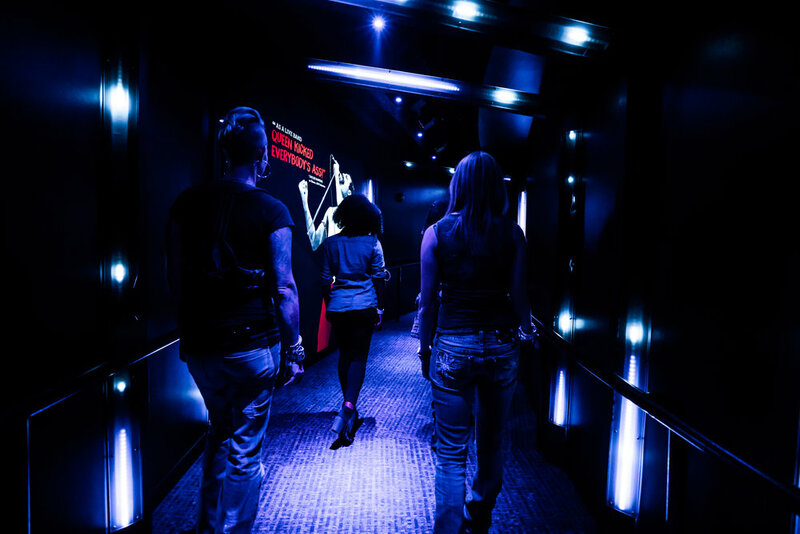 From a lighting point of view, we wanted to have the whole experience be active and fluid; that all the lighting would be an extension of the music bathing the guest in an immersive environment driven by both beat and mood. The theater was created to embody all of these ideas. We started with the film, directed by Jonathan Demme, that celebrated the legendary performances at the induction ceremony and concert. The film utilizes tracking screens with dynamic media locked to them. Scenic lines made up of video strips outline the space. We approached these video strips from a generative point of view. The content is generated in Touch Designer in real time and manipulated by the lighting console. 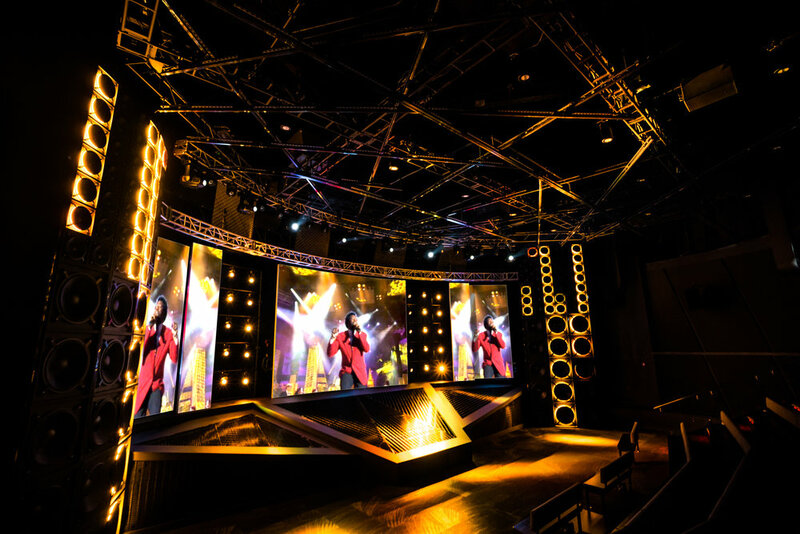 This afforded us the ability to treat this scenery dynamically and manipulate it along with the entire lighting rig. Once the the film concludes, the guests walk out through a curved ramp that rises from the 3rd floor to the 4th around the outside of the theater. 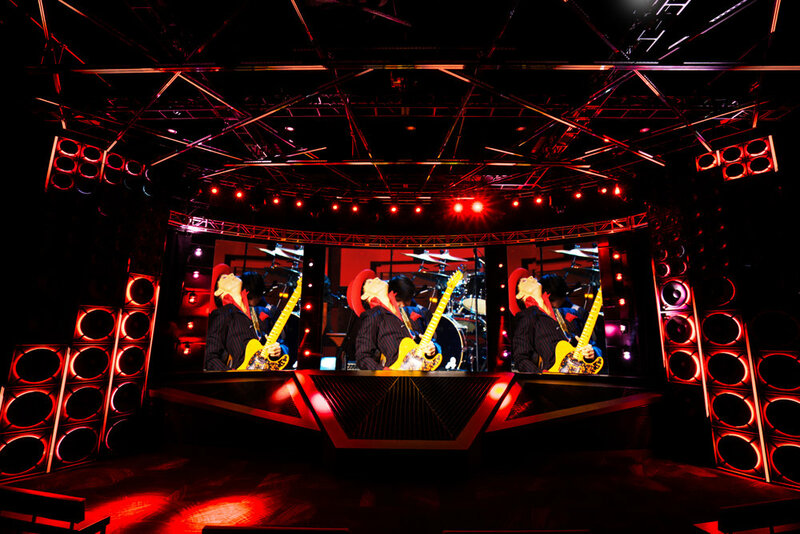 To make this exit more dynamic we created a tunnel of volumetric video that was cued to While My Guitar Gently Weeps. A rotating vortex of light and pattern pulls the guests down the hallway. We wanted the guests to feel that the entire space was directly connected to the music and that they were completely immersed within it. Upon exiting the hallway, the guests are treated to an exhibit of artifacts from the performances that were featured in the film.